The Aruba's Ralph Lauren store has been enhanced with a Caribbean elegance of cool, colorful shades and dark woods that flawlessly suit the casual, self-assured sophistication of Ralph Lauren apparel. 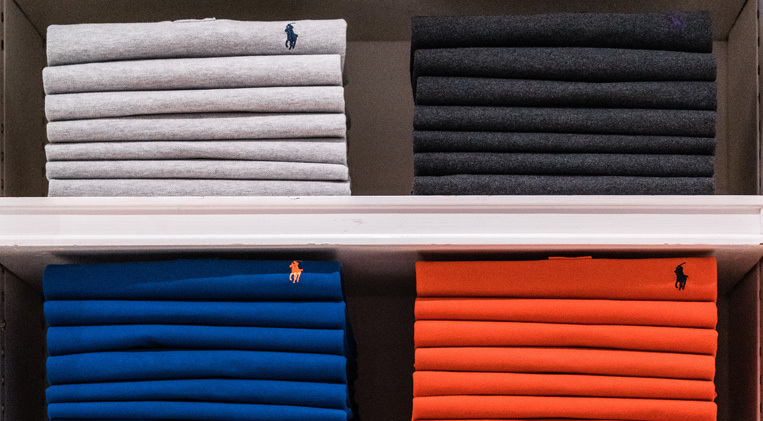 Ralph Lauren has always conveyed more than a look, but a lifestyle; a concept that is mirrored in the store's design. Wooden archways herald each space, linking the different salons featuring men's and women's fashions. Large, comfortable chairs are irresistible to customers who want to sit, relax and take in elaborate displays, original artwork and tempting clothing style choices presented in cool linens, sumptuous cashmeres and light cotton twills. Aruba's Ralph Lauren store, although true to the seasonal lines currently featured in Ralph Lauren stores throughout the world, also provides styles and clothing appropriate to Aruba's tropical weather year-round, exemplified by its central space featuring swimsuits, sunglasses and resort wear. At its boulevard entrance, customers are welcomed by the kaleidoscope of colors of the iconic Ralph Lauren polo, and leading in to a wider selection of must-have fashions.